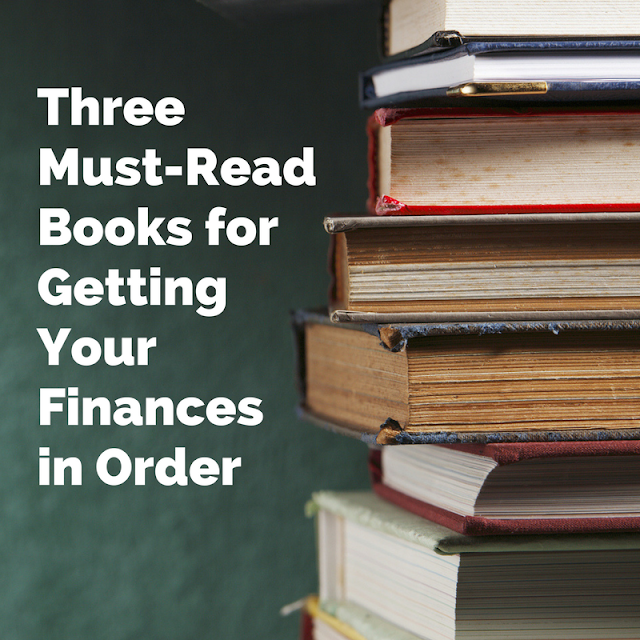 Here are the three best books to help you take charge of your finances and your future. 1. Total Money Makeover: Classic Edition by Dave Ramsey. This is THE BOOK on whipping your finances into shape. Ramsey walks you through saving for an emergency fund, getting out of debt, starting to invest, saving for college, paying off your mortgage, and reaching financial peace in your life. Following the steps Ramsey lays out will get your bank account looking awesome in the long run. 2. Your Money Or Your Life by Vicki Robin and Joe Dominguez. This is one of the most influential personal finance books ever written. This book outlines a nine-step program showing readers how to get out of debt, start saving, de-clutter, invest effectively, and begin living a great life that’s within your means. “Your Money Or Your Life” has helped millions of people take control of their finances and make a life, not just make a living. 3. I Will Teach You to Be Rich by Ramit Sethi. This book is packed with useful, no-nonsense (and entertaining) advice on how to set yourself up for financial success. Sethi’s approach is simple - know how much money you have coming in and then automatically direct it where you want it to end up. Once you automate your finances, you will start saving and investing without stress or effort. Start investing today, even if it’s just $1. He also addresses important subjects you won’t find in most other finance books, like negotiation and developing a side business. The target audience for this book is people in their 20s and 30s who need basic financial advice (and who will appreciate Sethi’s in-your-face style), but I also recommend this book for people who are older but are getting serious about improving their finances. This is my list. What books would you add?